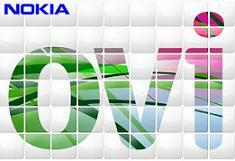 Nokia takes a leaf off the Apple tree by announcing that it’ll be launching its own app store – Ovi. The store will be opening its doors in May and will be available on a large number of S40 and S60 handsets around the globe. The first handset to the get the pre-loaded Ovi treatment will be the June bound N97. Subsequent to the N97s preferential treatment, it’ll be accessible from other handsets via download soon after. Nokia’s attempt to be different and stand out from the rest means its app store will aim to offer tailored and localised apps based on where you are. As well as location based apps, the Ovi Store allows you to snoop at what your mates are downloading too, which isn’t surprising considering Nokia’s new obsession with stalking based applications. The downloadable apps on offer will range from city guides and games to language lessons and video and a whole host of other content. Developers will be able to start putting their mark on it as of March, which Nokia is hoping will help deliver something strong enough to rival Apple in the content and money making department. Nokia claims to have already signed up Facebook, EA, Qik, MySpace and lonely planet and like Apple, will pocket 30 percent of the profit made from each application sold. But which app store will come out on top?